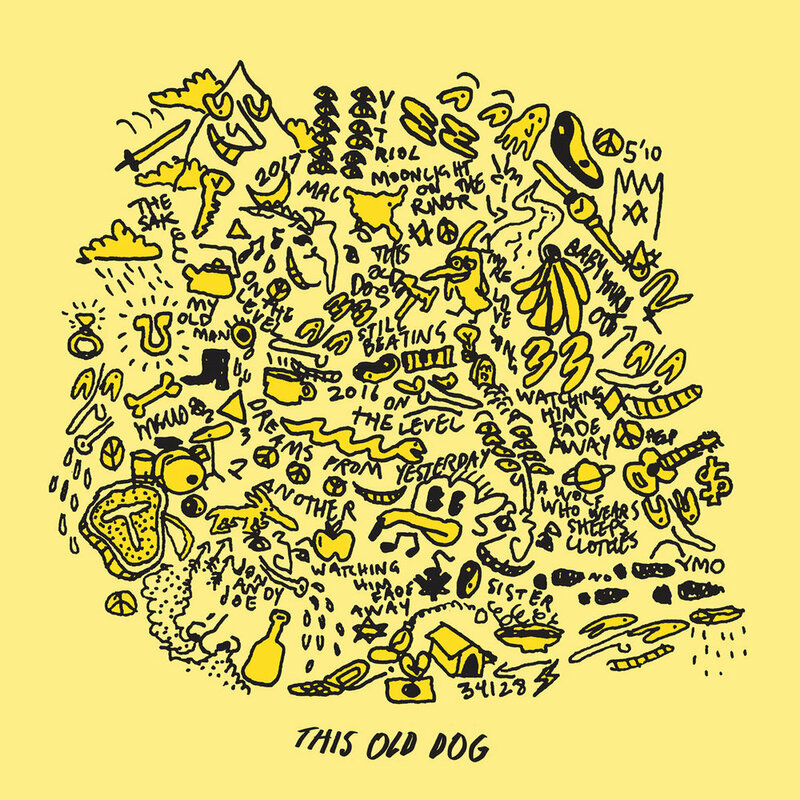 Los Angeles based singer-songwriter Mac Demarco has made a distinct change in sound with his third full-length studio album, This Old Dog. Demarco takes on a slightly different sound on this album compared to previous albums where the pairing of his voice and the instrumentals put the listener in a spacey psychedelic trance (for example, in his most popular songs like “Chamber of Reflection” and “My Kind of Woman”). Though Demarco’s airy vocals remain the same, he takes out a lot of the echoing elements that make his past music so spacey. This album is more rhythmic (by having a stronger drum presence) and the songs are generally less stretched out than his previous work. The instrumentals have a stronger focus on acoustic guitar giving an overall folk tone to the entire album. Generally, Demarco does a great job blending the sounds of each song while keeping within the theme of folk. Although certain songs like “For the First Time”, “Sister”, “Dreams of Yesterday”, and “One More Love Song” still contain psychedelic synths, the rhythmic background keeps the album’s general sound in check. Demarco embarks on several journeys. One being a full journey of love, but it’s not a journey full of cliché love songs. Whether it’s the tenderness of his voice or the simplicity of lyrics, he manages to capture the mundane moments of affection which generate its power. And while Demarco speaks of love with such sincerity, he also considers the importance of independence after a relationship in songs like “Baby You’re Out”, “One Another”, and “Still Beating”. Throughout the album, he takes on a role of mentor. For example, in “Dreams from Yesterday” Demarco advises the listener to always have a dream in mind, that way there’s always something in life to strive for. In “Baby You’re Out”, he reminds the listener that while breakups are hard, the independence that one gains is worth the split and results in greater self-understanding and happiness. Finally, Demarco includes personal narratives usually relating back to the abandonment of his father. In “My Old Man”, “Moonlight on the River”, and “Watching Him Fade Away”, he reflects on the significance of his father’s absence. Though he doesn’t come to a full conclusion regarding his thoughts towards his father, he remains unsure of how to love someone so important yet so distant in his life. Though longtime fans of Demarco may find this album disappointing for its pretty drastic change in general sound compared to previous albums, he has made a great step forward in developing his sound as he further immerses his name in the industry.